The Golf Course is a majestic design with rock-walled streams, subtle undulating putting surfaces with the Jones signature clover leaf bunkers. A 14 acre lake dominates the front nine holes while the back nine is routed through wooded land. Adding beauty to all of this, the River Maigue meanders through the course creating a sense of beauty and challenge. Its testing design coupled with superb putting surfaces, Adare Golf Club is one if not the finest golf course in Ireland.The Adare Golf Club is an 18 hole championship golf course which opened in 1995 and is set on the 840 acre estate of Adare Manor Hotel & Golf Resort in Co. Limerick, Ireland. This was the last major golf course designed by the legendary Robert Trent Jones, Senior. This majestic design has gained international acclaim as one of his finest creations. Situated only 35 miles from Shannon Airport, the Adare Golf Club measures 7,453 yards and uses 230 acres of lush Irish countryside. The exquisite parkland atmosphere of the demesne has been preserved with the course set amid magnificent mature trees. 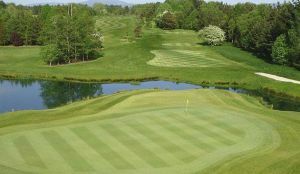 The course contains many aquatic features including a 14 acre lake anchoring the front nine holes. The River Maigue meanders through the entire golf course creating a sense of beauty and challenge. 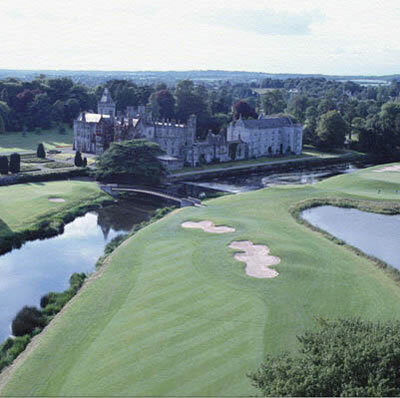 Adare Golf Club is not yet in our pool of Golf Courses for orders.